Are you unsure about where to go on your next holiday? Fear not! We have six travel destinations that will make it easy to decide where your next trip should be. From budget-friendly breaks to holidays for the adventurous, there’s something for everyone. The best time to see the Northern Lights in Iceland is from late August to early April. This beautiful kaleidoscope of ever-changing colours and patterns is enough to take your breath away. Iceland offers many other visual and magical delights, from glaciers, waterfalls, and volcanoes to magnificent birdlife. So plan your time there carefully so you can see these other natural wonders too. Here are six other destinations from where to view the Northern Lights. 2019 is an important year for Berlin. It marks the centenary of the Bauhaus design that combined crafts and the fine arts. If you’re interested in architecture be sure to check out Mies van der Rohe’s house as well as Berlin’s other UNESCO Heritage-listed Bauhaus sites. It has been 30 years since the fall of the Berlin wall so be sure to visit the Berlin Wall Memorial and Documentation Centre. The Berlin Cathedral is an excellent example of 19th-century architecture, also worth exploring. Wrap up your visit with a stroll along the Kurfürstendamm with its more than three-kilometre shopping boulevard in West Berlin. Budapest has an active cultural calendar that includes festivals, theatres, museums, concert halls and even sporting events. Split by the River Danube there are two parts to this city with Buda on the one side and Pest on the other. Buda’s well-known thermal baths make for a lovely retreat and place to de-stress. 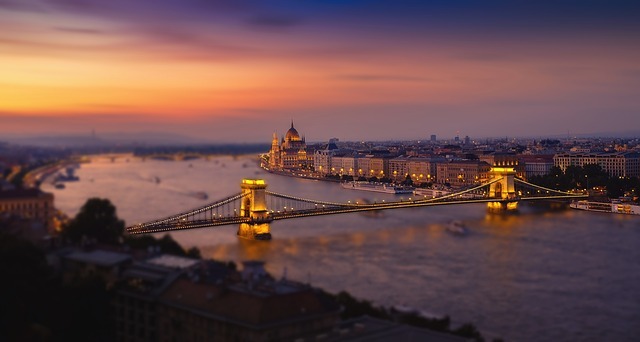 Pest provides a buzzing atmosphere with a whole host of museums worth visiting. Be sure to check out Margaret Island if you love nature and green spaces. If you’re looking for somewhere different to visit why not try Ethiopia. The best way to explore the Simien Mountains is to do a five- or ten-day trek. Some of the wildlife you can see ranges from the Ethiopian wolf to the Lammergeyer, a bearded vulture with a three-meter wingspan. As they say, forget the big five and visit Ethiopia instead, you may be pleasantly surprised. Andalucía is well known for a lot of things but less known for its nature. If you want to explore this region there are plenty of national parks on offer. In north-eastern Andalucía, for example, is the Sierras de Cazorla park which has mountains, valleys, charming hill villages and wildlife. The park can be explored mostly by road but there are areas where you can walk. Some animals you may spot while walking include mouflon (wild sheep), ibex and wild boar. And after all the walking why not visit one of the area’s many spas. And while there, you must try the various regional cuisines. This natural spectacle is well worth a visit and the great thing about Japan is that there are a variety of places where you can view the blossoms. Hanami is the Japanese word for viewing of the cherry blossoms as well as picnicking beneath them. Imagine that! A picnic under the blossoms, what a wonderful experience! Cherry blossom season starts in March with the first flowering occurring in Kochi on the island of Shikoku. Other centres throughout Japan follow with later displays of cherry blossoms in Tokyo, then Kyoto and lastly in Sapporo, a city in Hokkaido, where you can still view this spectacle in May. Want to find out more about when the trees are blossoming and more specific times? Check out the forecast provided by the Japan Meteorological Corporation. And our top tip if you want to picnic? By putting down a blanket means your spot is reserved and people will respect that. Finally, don’t forget to insure your precious valuables when you’re travelling as mishaps happen. Insurance is important especially if you are travelling with expensive photographic equipment or smartphones/devices.